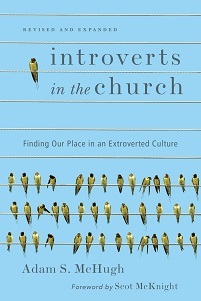 We have pretty much covered all church ministries here at Introverted Church, continually surprising people that introverts can thrive in virtually all roles in the church. It seems that God is much more comfortable with our personality types than some of us are. One role we have not spent much time with is worship leader. That ends today. This post comes from Alina Sato, who is a pediatric intensive care nurse, a worship leader, and a pastor's wife. She has been leading worship for 19 years. She reports that she finds photography and writing to be wonderful outlets for her introverted heart, and you can catch up with her on her blog: A Pilgrim's Lens. I had been asked to lead worship for our denomination’s annual winter youth retreat. My first inclination was to say no. The idea of attending a youth retreat, much less being a leader at one, was exhausting in and of itself. But the more I prayed about it, the more my heart burned with a desire to facilitate a space for these high schoolers to truly connect with the Lord. Being in my early 30s at the time, I was quite out of touch with the current worship songs for the younger generation. Hence, I started listening to the latest worship CDs, and so many of them were incredibly powerful and inspirational. However, there were a couple of obstacles. One was that I didn’t have a full band and choir rockin’ out behind me, and the second was… I’m an introvert. I couldn’t picture myself yelling into a microphone. I had a harder time leading the high-energy songs that the young people seemed to engage with. I really had a sense that the Lord wanted me to go to this retreat. But I didn’t know how to do this as an introvert. Incredibly, we had a powerful weekend, and on the last day, I received some encouragement notes from a number of the young people stating how much they appreciated the times of worship. One note in particular stated, “I have never experienced times of worship like this. I’m not sure exactly why that is, but thank you for leading us.” I found myself on my knees, in tears, in awe, and in worship of our faithful, glorious God. 1. Leading worship effectively as an introvert really does not mean leading louder. In order to lead a group into worship that is in spirit and in truth, we ourselves must be free to worship-lead in spirit and in truth, out of who we are as introverts. I loved facilitating more open, quiet spaces for people to pray, repent, and receive. 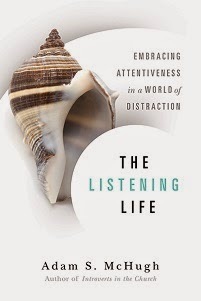 I think this is important for an increasingly restless, overstimulated generation. According to Isaiah 30:15, “This is what the Sovereign Lord, the Holy One of Israel, says: ‘In repentance and rest is your salvation, in quietness and trust is your strength, but you would have none of it.’” Perhaps we are shaped as introverted worship leaders so that we might be used to facilitate more times of repentance, rest, quietness and trust in our congregational times together. 2. Be humble as a worship leader and partner with other leaders who have the personality to lead the more upbeat songs. I ended up leading a lot of the quieter or medium-paced songs, and had my guitarist, also a gifted leader, take the higher-energy songs. The result was leadership that was more effective all-around, and a greater sense of unity among our worship team. It became less about me as “the” leader, and more about us as a team serving together. 3. I learned that there are introverts in that young crowd - more than we realize. Not all of them want to be yelled at through a microphone to be stirred up for worship. Not all want to dance, scream and form a mosh pit. Many of them have a lot of heavy issues on their heart that they want space to work through with the Lord. We as introverted worship leaders can be such a refreshing gift for them.